As local specialists of timber doors from the TimberWindows.com range, we are proud to offer a comprehensive range of elegant yet practical hardwood timber patio doors. 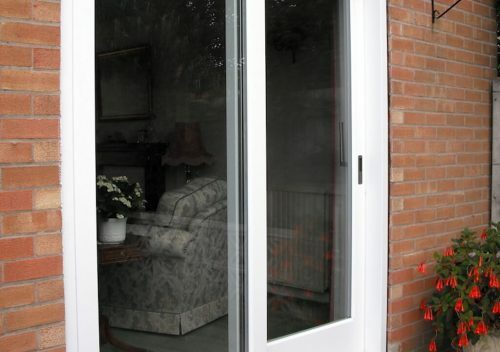 Fully capable of accommodating a wide range of patio door specifications, this allows for unrestricted and uncomplicated access 24 hours a day, 7 days a week. This elite timber patio door range suits many types of budget, home and business right across Guildford, Wimbledon and Esher. Authentically manufactured in a wide range of traditional or contemporary door designs to take your fancy, we integrate a host of technical innovations into our timber patio door design. 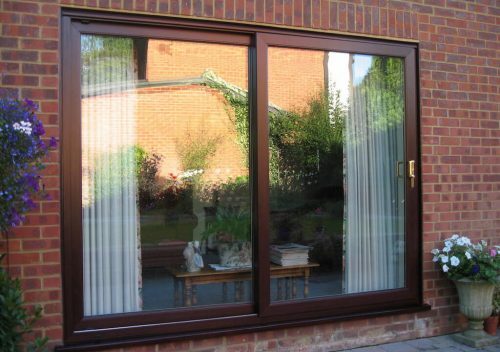 This includes strong layered twist & warp resistant timber, 1st class thermally efficient double glazing and high performance paint coatings & glazes. These provide homeowners across Surrey with peace of mind that their timber patio doors will be around for many gratifying years to come. 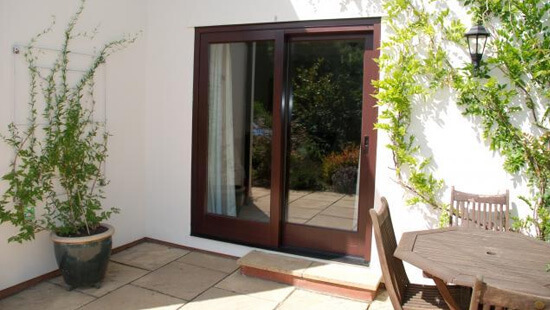 With their effortless gliding operation, our timber patio door range remain manageable and fully weather resistant at all times. Multiple colours (or ‘dual colour’) may also be applied to one door set, enabling South East England homeowners to finish their doors with a different shade internally to fully compliment their interior decor. Furthermore, leaded lights or glazing bars are available in a range of sizes that may be added as required to suit existing timber windows. Fully complying with the high specification of our matching timber windows, whether it’s a residential or commercial application, safety is key. 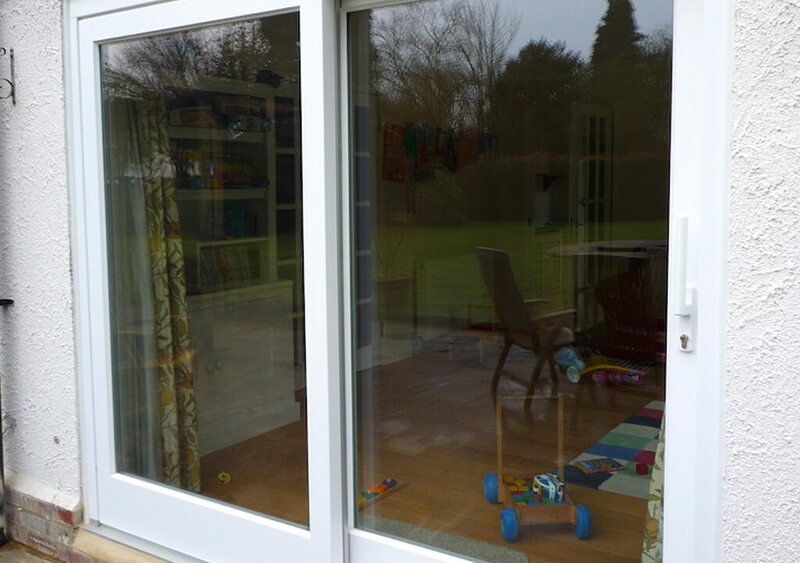 This is why our timber patio doors boast high security locking systems & robust hinges, whilst incorporating double glazed units available in toughened or laminated glass. Proactively and intricately internally beaded, this fantastic feature prohibits the most committed intruders from gaining entry to your home or business by removing the glass. Enhance your home and your lifestyle with a tantalizing timber patio door installation, optimizing light, space and all-round wellbeing.